I am a lover of wooden toys, I think they always look nicer and are better on the environment. Hape wooden toys are one of my favourite brands, they sell such an assortment of toys. 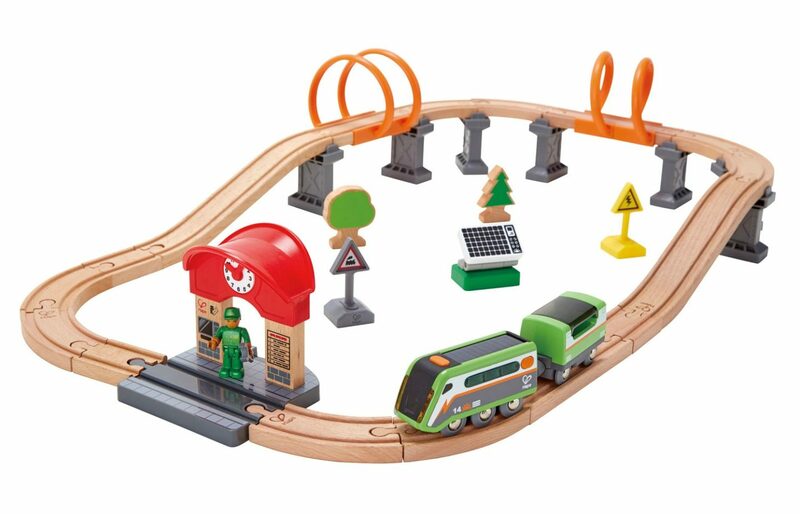 Hape wooden toys are some of the nicest we have had and this solar power circuit train set is no exception. When the train set turned up the children were very excited, the youngest particularly. He is a huge fans of trains and frequently plays with them. The media and people in general are all talking about sustainable energy, reducing plastic and trying to make everything better for the environment. 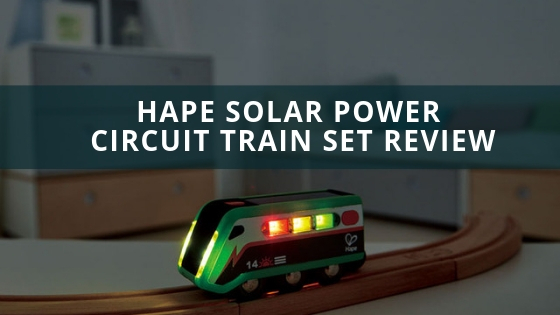 Well the Hape Solar Power circuit train set ticks all those boxes. The train track is made from bamboo, which grows 1.2m per day. It makes sense that they use something that grows so fast. Hape also plant one new bamboo tree for everyone they use. This is one of the many things that make Hape such a great brand as they are always thinking on ways to be sustainable. After we had set up the track, which was fun in itself. We love the supports that lift up the track, which are really steady. They clip onto the end of each train track pieces making them very secure. My youngest also loves the orange spirals to go through. It really is a great track. I also read that the both the train and the plastic parts of the track are BioPlastic which is plastic made from sugar cane. BioPlastic is supposed to be more durable, this is great with a heavy-handed toddler. I will also mean it be kept for a long time and passed on. 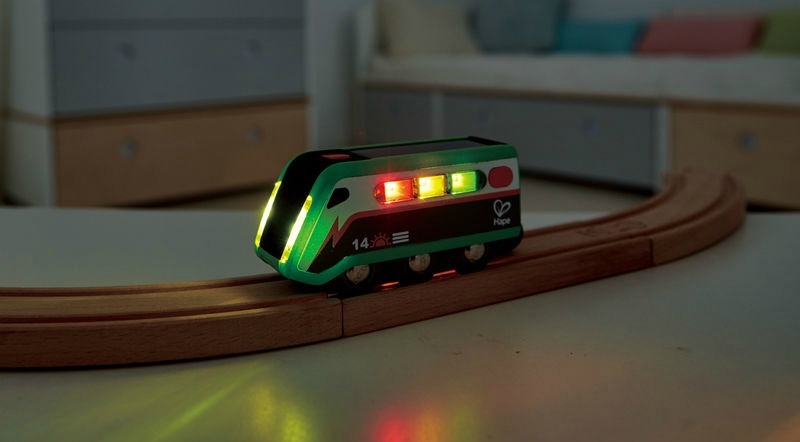 This fab little train doesn’t take batteries. It has its own little solar panel. At first I thought it would make the train move alone however it doesn’t. But what it does to is make the lights work which my little boy loves. At the side of the train there is a little panel and when it shows red it means you have to put it in the sun or daylight to charge it up. This has been a great opportunity to explain to the children about sustainable and solar energy, There is a button on the top which turns the lights on and off. The train has been put together with non toxic paints and glues. This is great in case a child puts it near their mouth. I have never seen a train like this before and I am impressed. 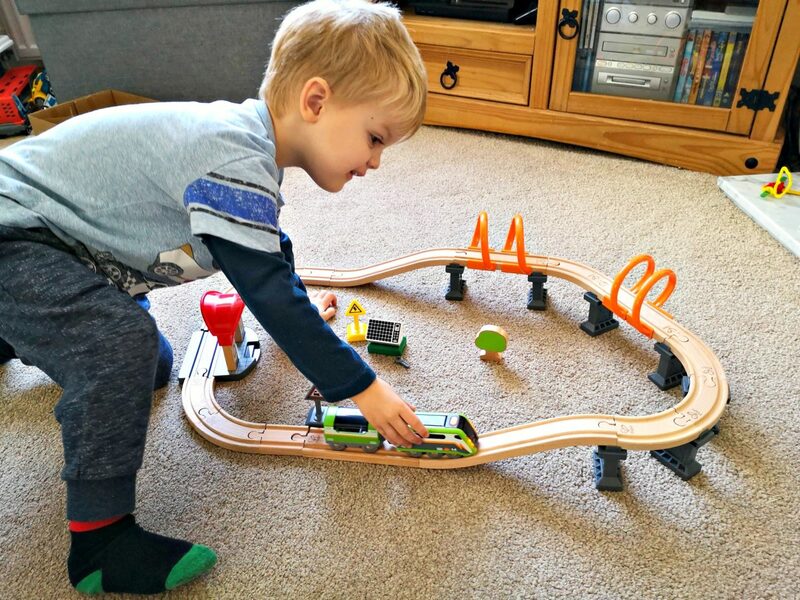 We all love the Hape Solar circuit train set. The solar power train is unique and quite educational in a fun way. The little extra pieces, such as tree’s add to the playability of the set. The fact that the set uses sustainable energy and is made from natural resources, the bamboo train track is impressive. Hape really are forward thinking about their products. 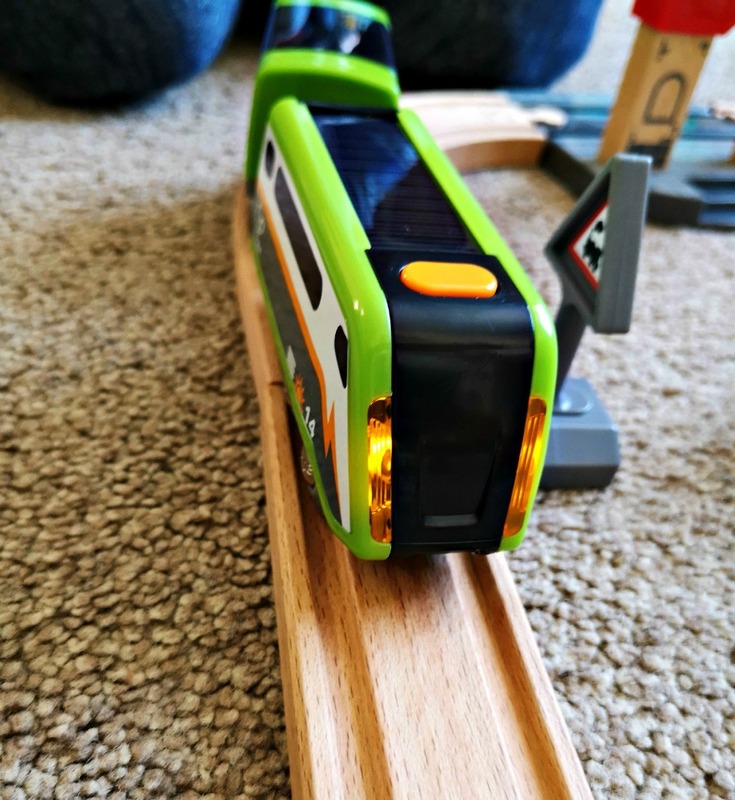 My youngest really loves playing with this solar power train set and is now one of his favourite toys. The children have enjoyed building the track and exploring everything they can do. They both love the little train station that comes with the set and the fact that there is a little person that fits into the train. Overall I am impressed with the train set. The age range is 3+ and is a great set that children will love to play with. The pieces will also fit any other train track you might already have at home, so you can make an even bigger track. You can purchase the train set on Amazon and other good retailers.